Come and meet some of your fellow JIP families this Friday, October 6th at 7pm at 616 Tapawingo Road SW Vienna, VA . There will be pizza and a movie for the kids, and wine for the adults. This entry was posted in Events, Social Events, What's Happening on October 2, 2017 by jcc.gfes. 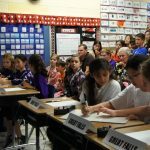 On November 5, 2017 at the George Washington University Cloyd Heck Marvin Center, J-LEARN will co-host a seminar that will discuss the current state of affairs with respect to Japanese language education in the Greater Washington DC region (to include VA Beach) in cooperation with J.LIVE Talk. Through this seminar, we hope to reflect on why studying Japanese is important, examine who is currently studying Japanese, address opportunities and challenges to Japanese programs, and discuss ways in which advocacy for preserving such language programs can be improved. 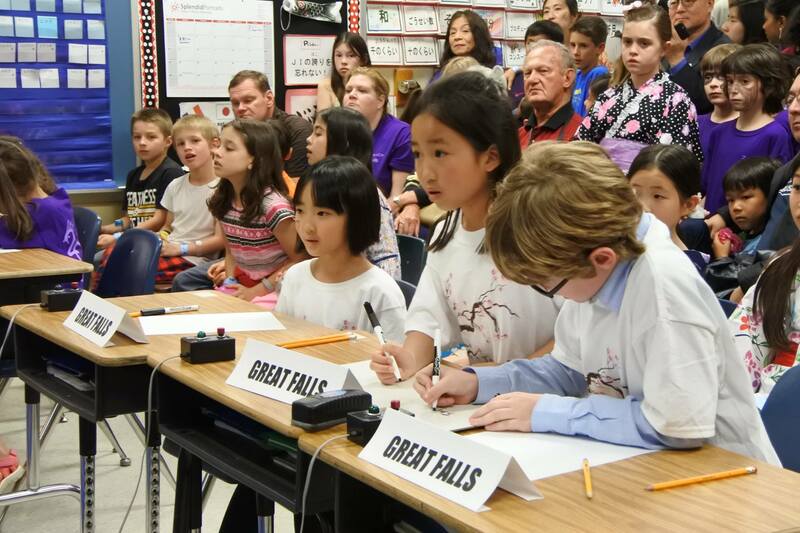 By bringing together students, parents, educators and key stakeholders with an interest in Japan and Japanese to discuss the importance of continuing, preserving and promoting Japanese language education in the US, we hope to fine tune advocacy techniques and strategies in order to build a more robust advocacy toolbox. More information about J.LIVE Talk 2017 can be found HERE. 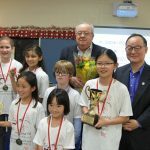 This entry was posted in Events, J-LEARN, Save Immersion, What's Happening on September 21, 2017 by jcc.gfes. 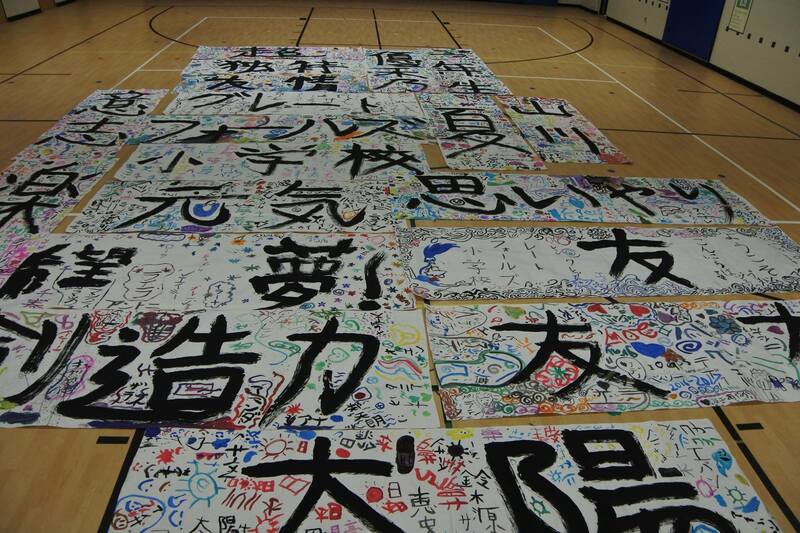 This year the JCC introduced all GFES students to the wonderful and fun art of performance calligraphy. 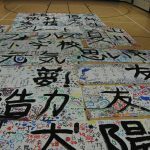 Using brushes of all sizes (some 2ft long), students learned to make ink the traditional Japanese way, write thier names, and write a kanji word that described thier class, thier mood, etc. Many thanks to all the volunteers who helped us out. Also a big shout out to Ms. Giroux for letting us invade her classroom for an entier week. Until next year! 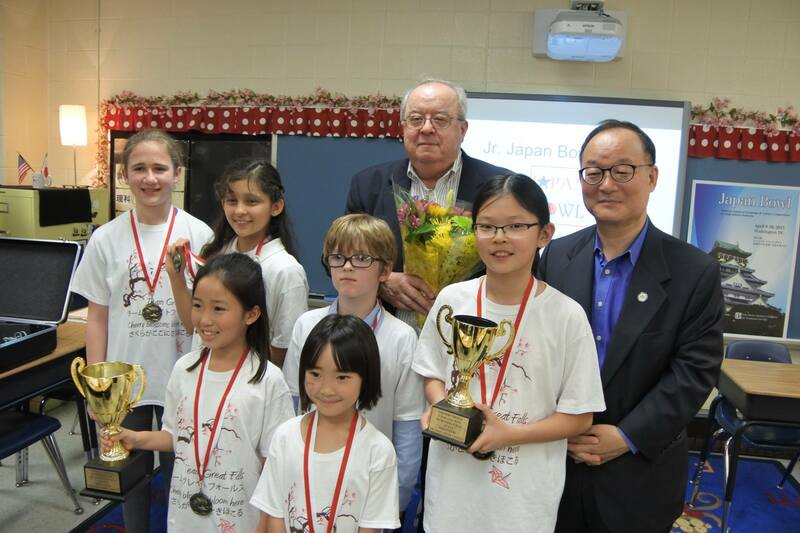 This entry was posted in Events, Japanese Art Program, What's Happening on June 22, 2017 by jcc.gfes. Come to our annual end of year potluck for a chance to get to know other Japanese Immersion families and welcome new ones. This year we will be meeting at Leslie Moore’s house, 828 Constellation Dr. in Great Falls. There will be crafts and games for the kids, organized and run by some of the older students. There will also be a chance to learn about committees you can be involved in to help make next year even better, such as: Japanese Art, Community Events, Classroom Cultural Celebrations, Social, Website/social media, Fox Mill Liaison, Fairfax FLAGS Liaison. Sign up HERE to bring a dish to share. This entry was posted in Events, Social Events, What's Happening on May 21, 2017 by jcc.gfes. 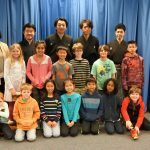 3rd and 5th Grade JIP students had a wonderful time learning some Kyogen techniques (how to laugh and cry) and were treated to a short Kyogen performance. This entry was posted in Special Events, What's Happening on March 26, 2017 by jcc.gfes. In cooperation with the Japan Foundation of New York, the JCC is bringing a Kyogen Workshop by the Shigeyama family to GFES on Wednesday, March 22nd, 2017. Kyogen (wild speech or mad words) is a 500-year old form of traditional Japanese comic theater that was developed alongside Noh. The Shigeyama family is one of two leading Kyogen families in Japan. 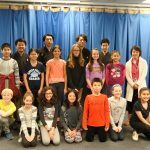 3rd and 5th grade JIP students will participate in this hour-long workshop, that will led by actor, Shigeyama Ippe. This entry was posted in Special Events, What's Happening on March 21, 2017 by jcc.gfes. 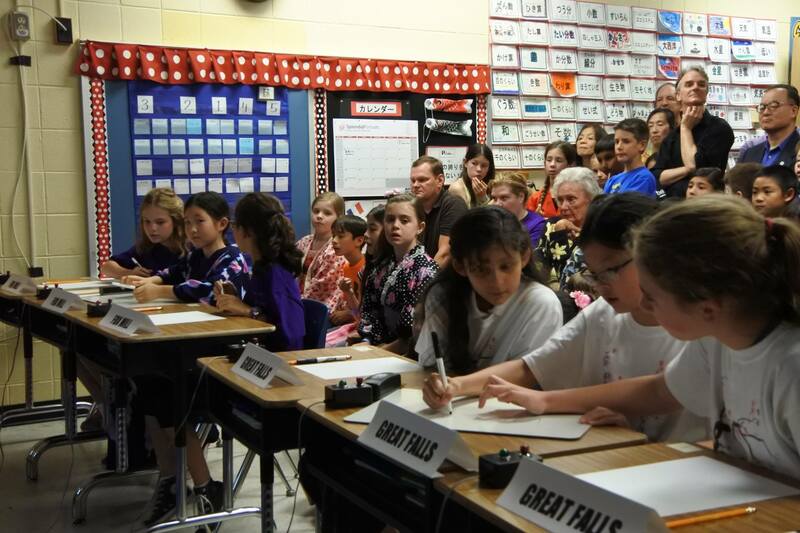 Great Falls ES has been chosen to perform a number of songs at the Sakura Matsuri-Japanese Street Festival on the Sakura Stage on Saturday, April 8, 2017 at 12:45pm-1:15pm. Interested students are asked to sign up HERE as soon as possible. Sakura Matsuri is a great opportunity to enjoy the tastes, sounds and feel of Japan. It is the largest one-day celebration of Japanese culture in the Washington DC area, with 4 performance stages and demonstrations, cultural exhibitors, food vendors, cooking demonstrations, a Children’s Corner. We encourage everyone to attend. This entry was posted in Events, Sakura Matsuri, What's Happening on March 16, 2017 by jcc.gfes.